A man who was fined for posting an online video of a dog carrying out Nazi salutes has failed in a bid to challenge his conviction. Mark Meechan recorded his girlfriend’s pug, Buddha, responding to statements such as “Sieg Heil” by raising its paw. He was fined £800 at Airdrie Sheriff Court and had hoped to challenge the case at the highest court in the land. But this has now been blocked by Scotland’s most senior judges. Meechan, from Coatbridge, North Lanarkshire, has raised more than £75,000 through an online appeal to help pay for the challenge. The 31-year-old denied committing an offence under the Communications Act during a trial at Airdrie Sheriff Court last year but was found guilty of breaching it by posting the grossly offensive film. He claimed that the video was only intended as a joke to upset his girlfriend. Sheriff Derek O’Carroll fined him £800 and a subsequent attempt by Meechan to challenge his conviction at the Sheriff Appeal Court, where the judges are senior sheriffs, failed after it was rejected in the initial sifting process. Meechan’s lawyers then raised a petition seeking to have the High Court use its powers to allow an appeal to be taken to the UK Supreme Court in London. But Scotland’s senior judge, the Lord Justice General, Lord Carloway, sitting with the Lord Justice Clerk, Lady Dorrian, and Lord Menzies rejected the move, saying they had no powers to allow any further appeal in the circumstances of the case. Meechan had sought to pursue a human rights appeal including a claim under article 10 which covers freedom of expression. His senior counsel, Dorothy Bain QC argued that the petition was competent and necessary to advance the challenge brought by Meechan. Advocate depute Alex Prentice QC, for the Crown, counter argued that the Sheriff Appeal Court had exercised its powers in accordance with statute and called on the judges to refuse Meechan permission to appeal. 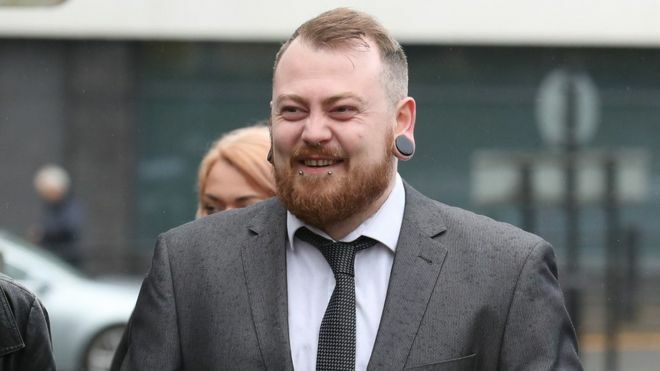 Meechan, who posts videos under the name Count Dankula, has a target of raising £100,000 to cover the cost of his appeal.